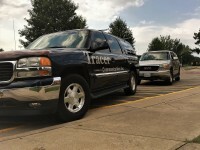 Tracer Comunications provides solutions for telecommunication needs in the River Valley and State of Arkansas. Our services include business telephone systems, structured cableing, fiber optics, and more. We at Tracer Communications value honesty, hard work, and quality solutions for our customers. Communication is the key to success. Our goal is to enable you to communicate efficiently and effectively.